You might not have thought about it but as you read this article, there are hundreds of SNEB members volunteering in some task that advances our mission of healthy communities, food systems and behaviors. For example, each issue of this newsletter is reviewed by a faithful team of four member volunteers. Just yesterday you received a ballot to elect new leaders to the Society and we are thankful to these members for their willingness to serve. Some volunteer opportunities are behind the scenes which might take only a few minutes while others require a greater commitment. But all of these volunteer roles play a vital part in the work of SNEB. I encourage you to read my editorial in this month's issue of the JNEB and consider how volunteering is a win-win undertaking. When you share your time and talents with SNEB you will be gaining skills development, an extended professional network and personal satisfaction among other benefits. Learn how to volunteer online or by contacting the SNEB office. Nominations are now being accepted for all SNEB award categories. The deadline to submit your nominations for consideration is March 1. For a complete list of award categories and nomination requirements, click here. Framework identifies the levels of engagement in promoting environmental changes and supports future research and practice of community nutrition professionals by providing a roadmap for assessing their involvement on multiple levels to prevent obesity. This webinar is a continuation of the skills building webinars hosted by the Communications Division, which will focus on written communication, specifically consumer segmentation and proper messaging tactics. Learning ZoneXpress (LZX) creates and publishes award-winning nutrition and healthy behavior educational resources including banners, handouts, incentives, and a variety of custom-designed solutions used by health promotion professionals in colleges, universities, schools, public health agencies and cooperative extensions throughout the United States. 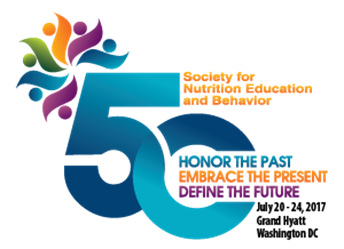 LZX, a small, woman-owned business, is a proud USDA Nutrition Communications Network National Strategic Partner. The two LZX members joining us are Mary Beth Anderson and Linnea Duffus. Mary Beth Anderson, Director of Educational Resources, consults with cooperative extension and public health professionals to determine the best nutrition and health education solutions to meet their needs. In addition, she conducts hands-on training and presentations at state and national conferences. Linnea Duffus, Project Manager, combines her passions for good nutrition and writing with a keen eye for design to develop award-winning nutrition education resources for Learning ZoneXpress. Heart and Stroke Foundation of Canada via EuerkAlert!